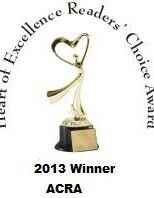 Nominated for the Romance Writers of America Golden Heart Award! Bryce Princeton is the Prince of Darkness, an English knight sent by his king to find and destroy their most hated adversary — the Angel of Death. Little does he know that his enemy is no man at all, but a beautiful woman who will challenge his heart and honor at every turn.